Our review rating on Facebook is now at 94% overall out of 78 reviews ! Exciting opportunity for a passionate talented stylist to join our Team, give Debbie a call on 07719671076. New Year , New You ? Look fab for less in our January Half Price colour sale. We have appointments available 28th,29th and New years Eve , these can be booked online through this website . MERRY CHRISTMAS and a HAPPY NEW YEAR TO YOU, appreciate your support over the year. 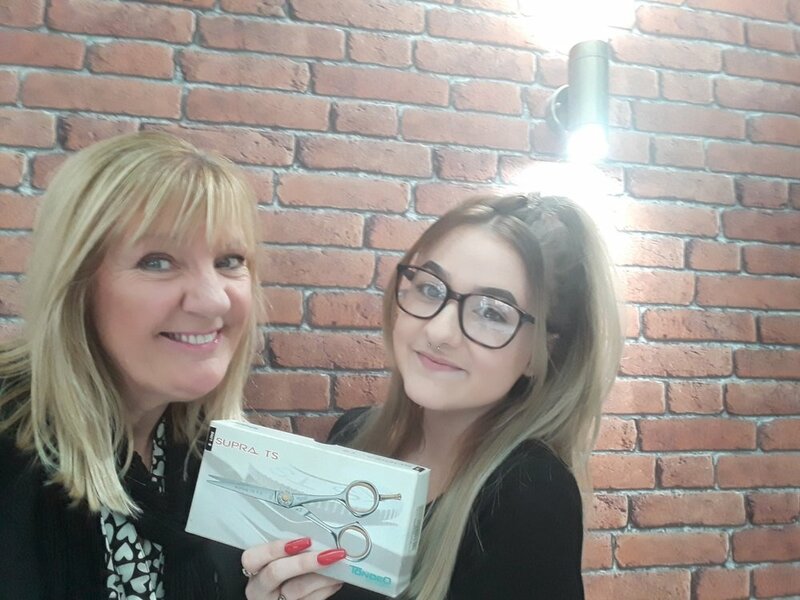 Really proud that Megan has passed her NVQ 2 In Hairdressing … a star in the making. Love to see our own grow ! Delighted to Welcome Sam & Cassie to the Whites Team as Senior Stylists. We are enjoying working with you! We are busy busy busy.. and looking for stylists at all levels, either full or part time. Give David a call on 07815042524 , time to take the next step in your career ! Our superstar.. well done !! Many congratulations to Kirsty on finishing the London marathon in 3 hours 55 mins in blistering heat, fantastic achievement !